closed for 18-19 winter season. Closed for the 18-19 winter season. Opening June 21 for summer operations, Fri 4-9 & Sat 11-9, available activities include mountain biking, paintball, disc golf, and hiking. Spring is taking control with warmer temperatures. Thank you for a great season! Cross every boundary, know no limits. 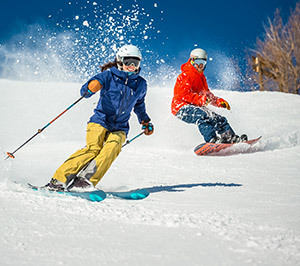 Designed for all-terrain adventure on every side of the resort, the all-new EXPERIENCE 94 Ti is a powerful all-mountain ski for expert skiers. Enhance your style and state-of-mind on the new KRYPTO. Grown from the same seed as the big-mountain XV, the KRYPTO has a stiff, directional flex that's never too harsh: slightly softer in the shovel and stiffer as you move toward the tail for powerful stability and effortless float.